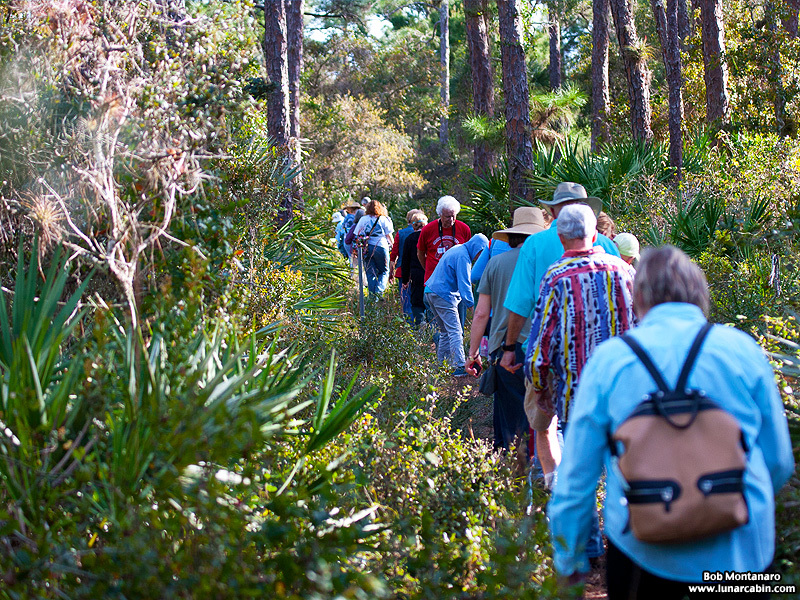 Photos from the FMEL-ORCA conservation stewardship class walk through the overgrown South ORCA scrub on Saturday afternoon, 7 February 2015. 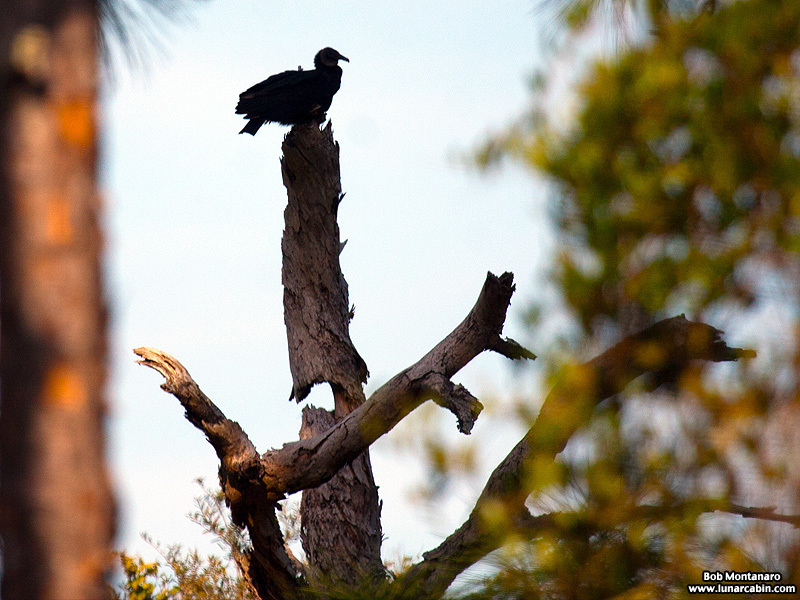 I did not hold out much hope of seeing birds, which kept the class focus on the plants, but was happily surprised to see this Black Vulture (Coragyps atratus [Coragyps, “raven vulture” in Greek; stratus, dressed for mourning]) perched atop a dead tree trunk. Note the gaping hole in the trunk, most likely caused by a Woodpecker cavity rotting out. The class heads down Oslo Road toward the South ORCA trailhead. The Oslo Road boat ramp and the Indian River Lagoon are far down at the end of the road. 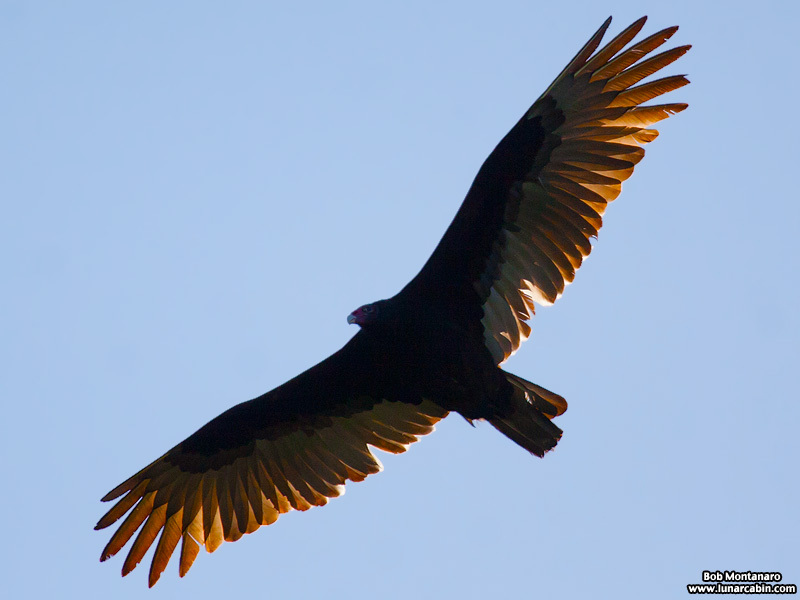 A Turkey Vulture (Cathartes aura [Cathartes, Latin from Greek, purifier of its surroundings; aura, gold, golden]) wings by overhead. 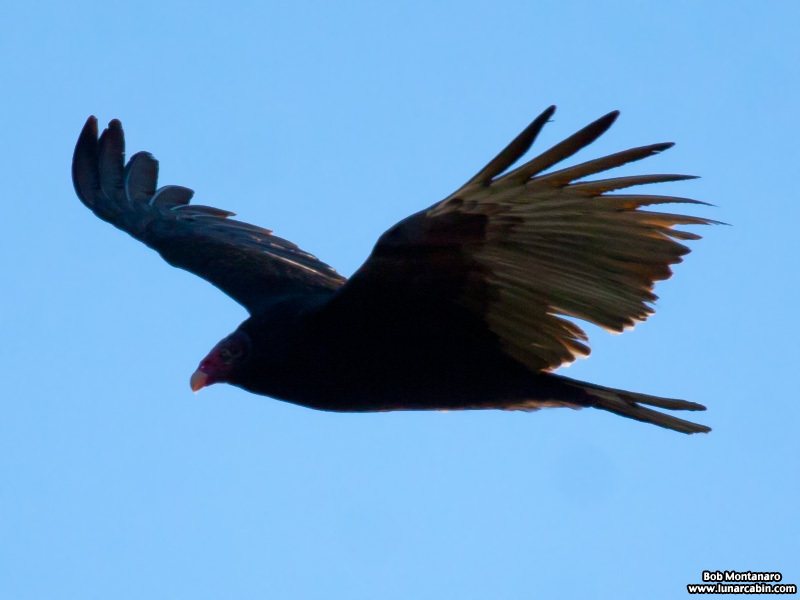 The late afternoon Sun gave a fiery glow for a brief moment to the Turkey Vulture’s feathers. 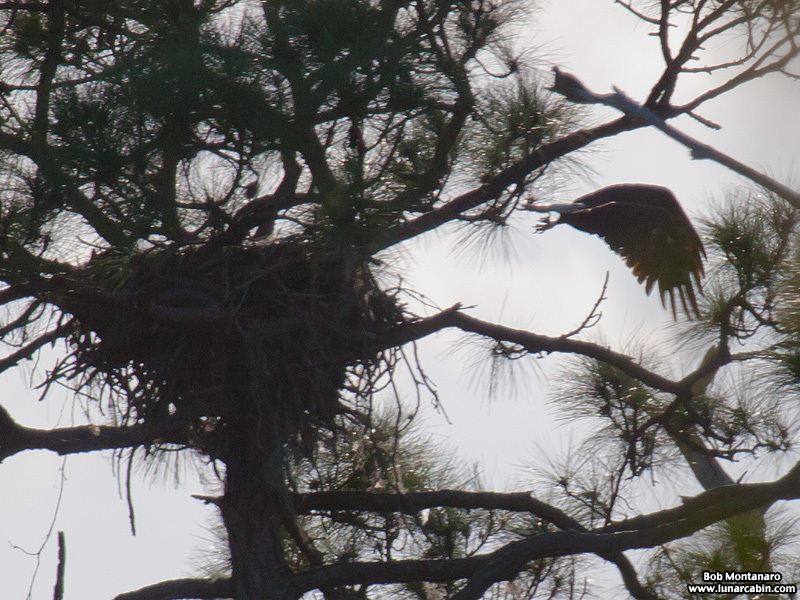 A pair of Bald Eagles (Haliaeetus leucocephalus [Haliaeetus, Greek for “sea eagle”; leucocephalus, Greek for “white-headed]) have been nesting back in the South ORCA scrub for years but did not do so last year. 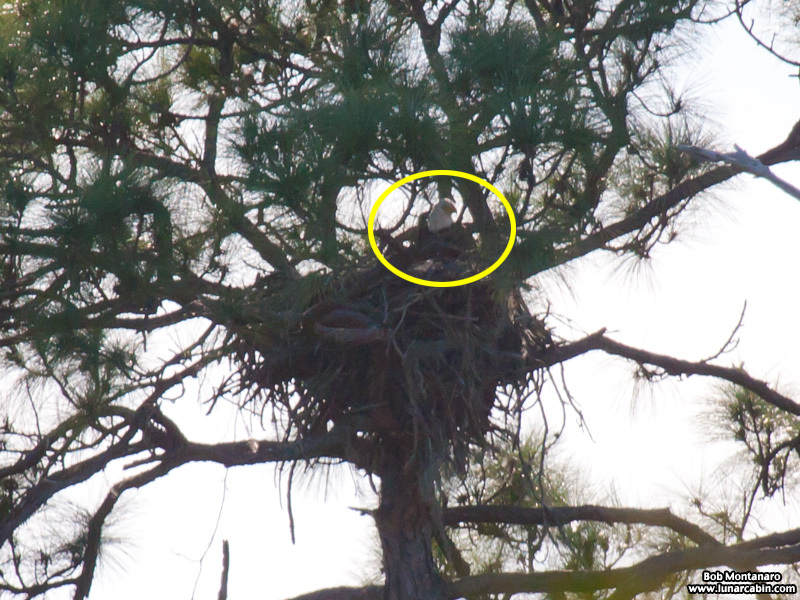 It was a surprise to see an Eagle, circled, in the nest. 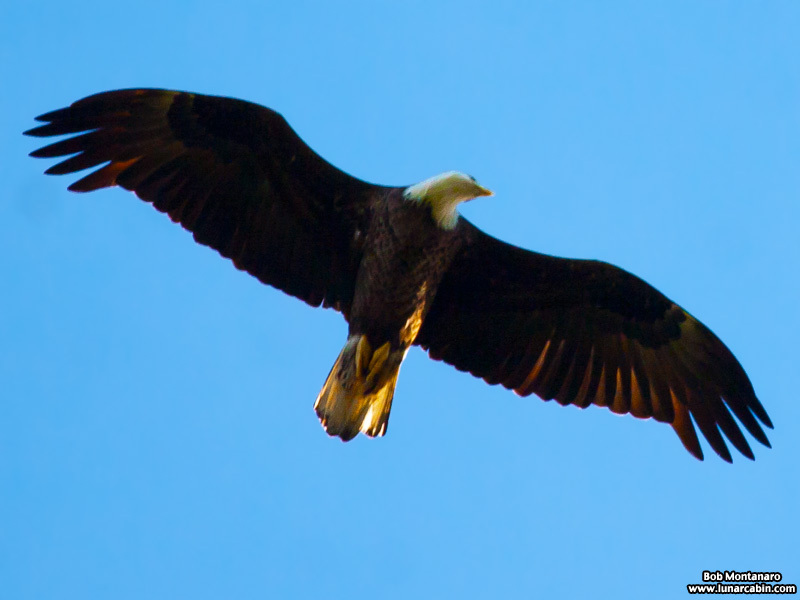 The Eagle stayed in the nest for the longest time until two more Eagles showed up causing the Eagle in the nest to fly out and join them. 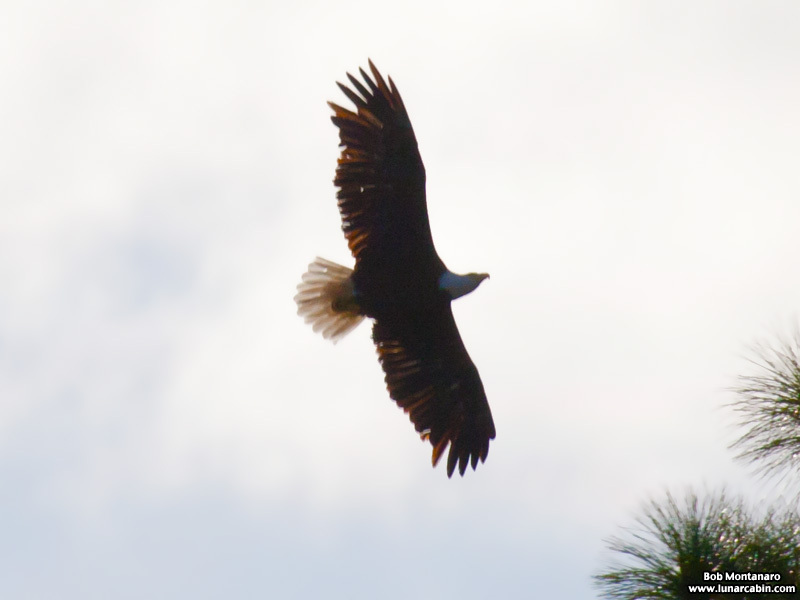 With three Eagles airborne and flying around the area, I hoped that at least one would end up in good lighting leading to a decent picture but they all disappointed me by staying mostly silhouetted in the western sky. 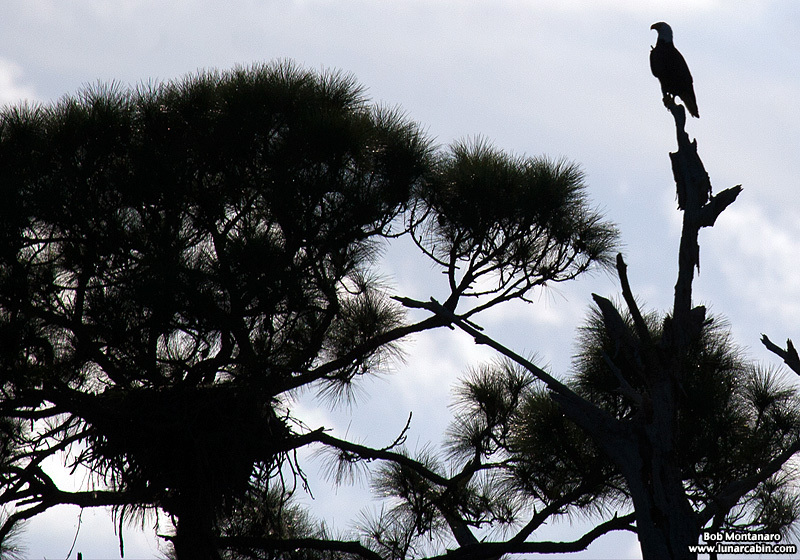 One of the Eagles returned to perch near the nest, which can be seen as the black bulk in the pine tree. 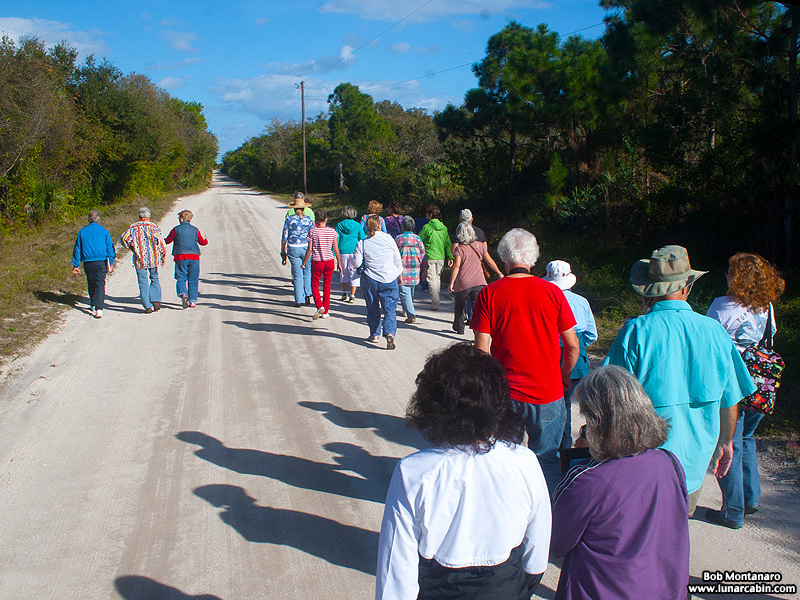 Bob Montanaro gave a great talk about the Florida scrub jay and other birds that frequent the scrub before the pictured walk.